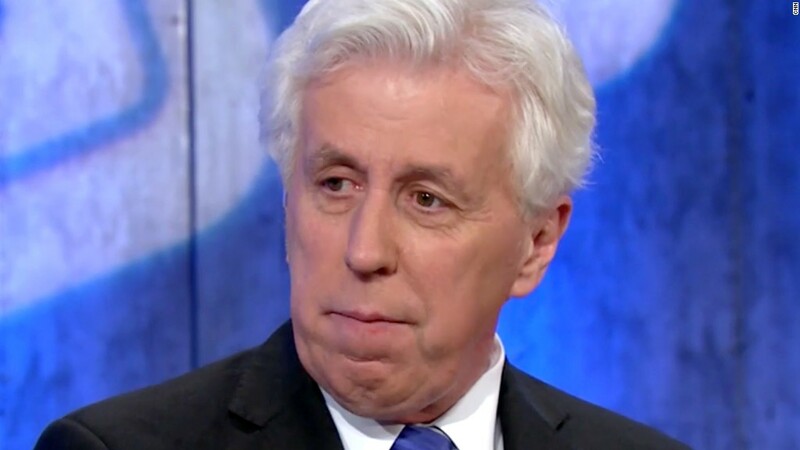 CNN severed ties with Jeffrey Lord on Thursday, hours after he ignited controversy by tweeting the words "Sieg Heil!" at a prominent liberal activist. "Nazi salutes are indefensible," a CNN spokesperson said in a statement. "Jeffrey Lord is no longer with the network." Lord said his tweet was misunderstood. He said he was mocking fascists, not acting like one. "I love CNN, but I feel they are caving to bullies here," he said in a telephone interview shortly after the network's decision was announced. Lord said his contract was set to expire at the end of the year. He said he greatly respected CNN management despite disagreeing with the decision. This is not the first time CNN has cut ties with a prominent personality on the network due to an offensive tweet. Earlier this year CNN cancelled Reza Aslan's documentary series "Believer" after he posted profane anti-Trump tweets. Lord, a former Reagan administration staffer, had been one of CNN's best-known commentators. He was the first explicitly pro-Donald Trump commentator to join the network, back in August 2015, two months after Trump entered the GOP primary race. At the time Lord was a counterweight to CNN's other conservative commentators, who were all dismissive of Trump's candidacy. Other pro-Trump voices joined the network later. But Lord always stood out from the pack -- for his interpretations of history and his intense exchanges with commentators like Van Jones on "Anderson Cooper 360" and other programs. Lord, a columnist for The American Spectator, has been harshly critical of the activist he tweeted at, Angelo Carusone, and the liberal group of which Carusone is president, Media Matters for America. Lord and Carusone have had many sharp disagreements. Media Matters has repeatedly condemned Lord and criticized CNN for employing him as a commentator. Earlier this week the two men got into another entanglement on Twitter, specifically over Media Matters' past financial support from George Soros. Carusone told Lord that one of his columns was "full of lies" and said "Soros gave us one donation one time...in 2010." Lord wrote a follow-up column for The American Spectator on Thursday morning, calling Carusone's group the "Media Matters Fascists," casting them as "anti-free speech bigots who, in typical fascist style, make it their mission to shut down speech they don't like." Media Matters has been promoting an ad boycott against Fox News host Sean Hannity, a friend of Lord's. Lord said Carusone was playing a "fascist game" by targeting Hannity's sponsors, and said Media Matters has been doing it for years against other conservatives. "This is America, Angelo. Not Fascist Italy, Nazi Germany or Communist Russia," he wrote. Lord tweeted the column at Carusone, who responded, "Your headline has a mistake in it." Carusone asked, "Why do you expect anyone to take you seriously when you don't take yourself seriously." Lord's response was "Sieg Heil!" The tweet caused a Twitter storm. There was renewed criticism both of Lord, personally, and of CNN for having him on the payroll. Carusone tweeted on Thursday afternoon and said "CNN does not seem to hold Jeffrey Lord to any kind of standard." Under withering criticism from others on social media, Lord did not backtrack from the Nazi reference. He repeatedly told commenters that he was "mocking Nazis and Fascists." He asked, "Why would I delete something that mocks the Fascists at Media Matters Fascists?" Later, in a telephone interview with CNN, Lord said, "I think these people are very dangerous." "They run around bullying people, bullying advertisers to take people off the air," he added. Of the offensive tweet, he said, "I'm mocking people who are posing a serious threat to the American free press. That's what I'm mocking." Another Trump-supporting conservative commentator, Kayleigh McEnany, recently left CNN under unrelated circumstances. McEnany asked to be let out of her CNN contract to become the spokeswoman for the RNC. CNN has about a dozen other conservative commentators who tend to support the president's agenda.